Mechanix Wear� M-Pact� Small Black Full Finger Spandex and Rubber Anti-Vibration Gloves with hook and loop cuff are designed for giving full-coverage hand protection that are made from moisture-wicking TrekDry� material to keep hands cool and dry. 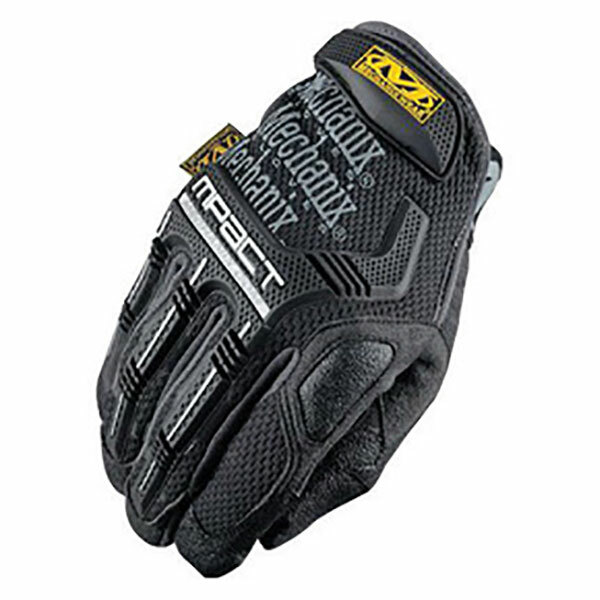 Machine washable gloves feature a sonic welded molded rubber that extends from knuckles to fingers for giving impact protection from damaging and have rubberized grip material on the thumb, palm and index finger for added gripping power. Gloves come with high impact PORON� XRD palm padding that absorbs shock and vibration associated with repetitive tasks causing muscle fatigue. They find use in multi-purpose applications like home improvement, equipment operation, automotive maintenance or repair, towing and transportation.